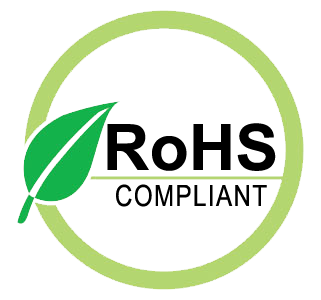 3 Star Inc provides the newest and latest products to meet the growing demand for high quality Utility Carts , Equipment Racks, display mounts & Accessories. In today's environment, whether for personal or professional use, you want to be able to free up premium floor and furniture space. Plus make a functional environment that can help organize and protect your electronic assets. 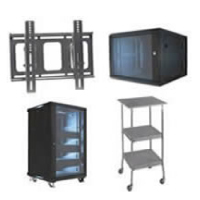 We offer a full line of enclosures, racks, display mounts and accessories for the professional AV and server market ,from music stores , pro audio suppliers to commercial installers. . From minimal skeleton racks perfect for that headend to fully enclosed racks with several door options that work great for organizing the distribution of audio and video signals through out your location, our freestanding racks are durable and provide easy installation. Get easy access to equipment installed in cabinetry or millwork with a racks that pull out and rotate up to 90° in either direction.Mount equipment securely to the wall while resting on a solid steel platform that transfers weight to the floor. In today's environment, whether for personal or professional use, you want to be able to free up premium floor and furniture space. Getting a large flat panel up on the wall, or hung from the ceiling to accommodate the need for additional speakers and electronics is a must. Video Mount Products' complete line of flat panel display mounts provide the solution for even the largest plasma and LCD screens, while never sacrificing great looks and allowing for multiple viewing angles. VMP's flat panel mounts are designed for a variety of applications, including the residential, educational, and professional markets. Whether in the living room, bedroom, classroom, or boardroom, VMP flat panel wall and ceiling mounts are the answer to today's multiple application necessities!